Watch this section for exciting new products and announcements! The Education Connection helped Fairborn City Schools, superintendent Mark North and the Fairborn students collected an amazing 20,000 pounds of food to the Fairborn FISH pantry! The TEC team challenged other Fairborn vendors to donate and help Fairborn win the challenge this year. The TEC staff was pleased that we could serve in this effort to support citizens needing help in the area. TEC supports many school projects to help in their communities by donating its services and support. 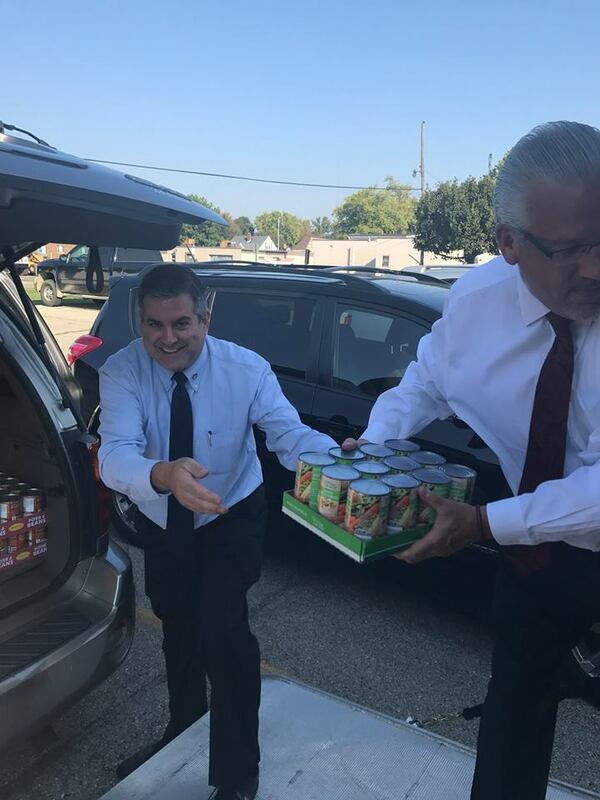 Douglas Fritz, President of TEC helped Mr. North load food into the truck destined for use in the community. © Copyright 2016 Insta-Info, Inc. | All artwork, photos, and designs included in this website are the exclusive property of Insta-Info, Inc., and may not be copied, reproduced, transferred or sold in whole or in part without the express written consent of Insta-Info, Inc.